Strength and movement conditioning coach in support of overall health and wellbeing. I strongly believe fitness must be fun in order for you to stay positive I am a very bright-minded character who knows that clients work best whilst they are relaxed. Most of my client results are done from my unique training, and also my psychology to increase your chances of success. I have quickly progressed into one of the best trainers around having worked closely with Celebrity Trainers, large Fitness Companies and via my own qualifcations and deep research into the science and sport side behind exercise. My sessions can be adapted to your needs and will benefit you, I guarantee I will provide the best results which you desire. Whether it is weight loss, toning, gaining some size or just to get a little bit more fitness I will provide a very high standard of training and you will not be disappointed! With 15 years experience in amateur and professional athletics having competed in many races I am able to use my training experience in providing an excellent service to different ... moreclients. I am a fat loss and nutrition expert. I have a strength and conditioning background. I specialize in designing training programs for individuals’ specific needs and goals. In 2008, I came to London and decided to use my energy and enthusiasm to help people achieve their goals. With 6 years experience in the fitness industry I aspire to become one of the best strength and conditioning coaches around, specialising in golf performance. I have also worked on ... moreweight loss, muscle gain and fat loss for the last 6 years. I am Titleist Performance Institute certified, UK accredited strength and conditioning coach and currently studying my NLP practitioner course, one which I feel will take me to another level of coaching. With one tour winner in our first year working together and countless top 10 finishes I continue to develop knowledge and plans to better myself ready for next season. I personally believe that anyone can improve in their fitness levels no matter what their physical condition may be. Functional workouts that complement your lifestyle will make daily ... morelife a lot more enjoyable and will improve your quality of life. An individual’s health is everything. i specialise in long standing weight loss, bodybuilding, nutrition, core strength and training older adults with medical health problems. I'm a very versatile, analytical and hardworking individual with a passion to help others. Outgoing with strong, effective organisational and communication skills. Fluent in English, French and Moroccan. A Fitness Model for Manup gymwear which enables me to travel globally and showcase my fitness talent. Also collaborating with the ZIMZONE athlete team, having been in one of the UK's biggest Health and Fitness Magazines. 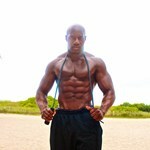 I am the founder and lead personal trainer of Dynamic Fitness Training. 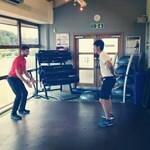 Darren has a wealth of personal training experience having completed his qualifications in 2008. With a background ... morein Sport Science, I have previously worked in elite level sport having enjoyed spells working with Watford and West Ham United Football Clubs. This involvement in athletic development in professional sport, allied to my experience of instructing one-to-one personal training clients has been recognised by some of the key figures within the fitness industry. I've been employed as a Tutor and Assessor for YMCA Fitness Industry Training (YMCAfit), the UK’s most experienced fitness training provider, and as a technical consultant for Central YMCA Qualifications (CYQ), the leading awarding organisation in the health and fitness sector in the UK. A keen runner, my key focus is on making sessions so fun that you wonder why it has taken you so long to get started! The sessions will be results-orientated, extremely effective and will keep you coming back for more. Book your free consultation me. Vladimir's experience as a professional athlete throughout his life combined with his passion for Sports Medicine, brought him to the United States to pursue a career filled with knowledge ... moreof orthopedic rehabilitation. He currently holds a degree in Nutrition and Exercise Science from CUNY-Queens College. He is also certified as an ACSM Personal Trainer, specialized in Pre/Postnatal and is VIPR certified. 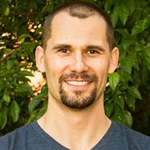 Having an innovative, modern approach supported by science, Vladimir's dedication and expertise provided to his clients' fitness goals are first-class. Having over five years of experience as a Fitness Professional, he can provide excellent service that is proven by many clients, that once were taught had improved control over their own diet and body. In his free time, he loves playing tennis, volleyball and spending time outdoors. Vladimir is also the past President of the Nutrition and Exercise Club at his University, a chapter member of the ACSM Greater NY Regional Chapter, and enjoys volunteering in Physical Therapy Department at New York Presbyterian Hospital.